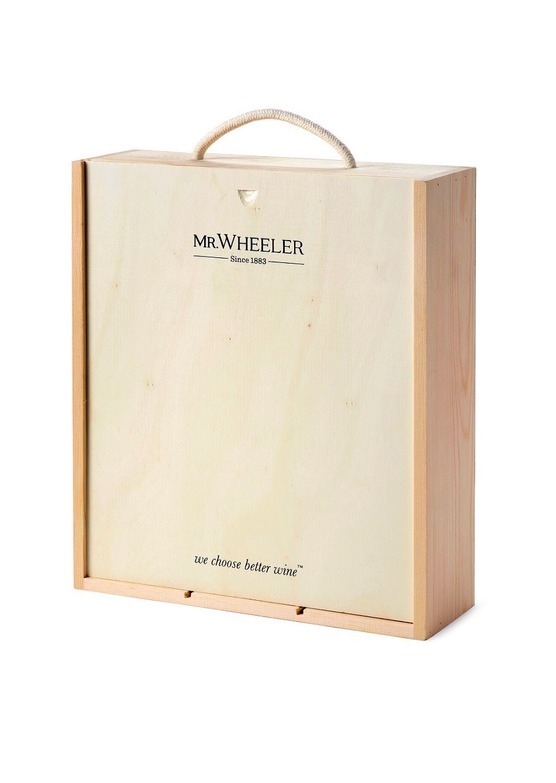 A three bottle selection of Italian grape varieties presented in a wood-wool lined Mr.Wheeler wooden gift box. The very best barbera comes from Alba, in Piemonte. 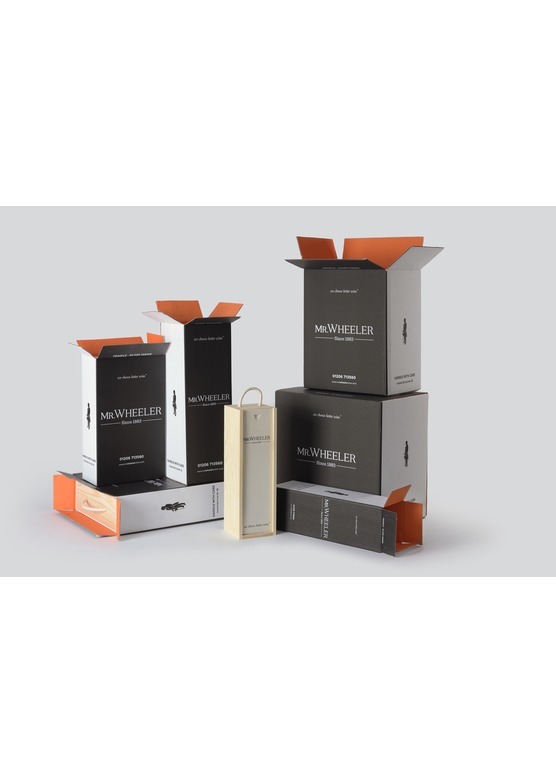 Monchiero's highly drinkable single-vineyard wine is luscious and pure with violet aromas and cherry fruit. Alba is famous for its truffles, and is the source of the best Barbera. 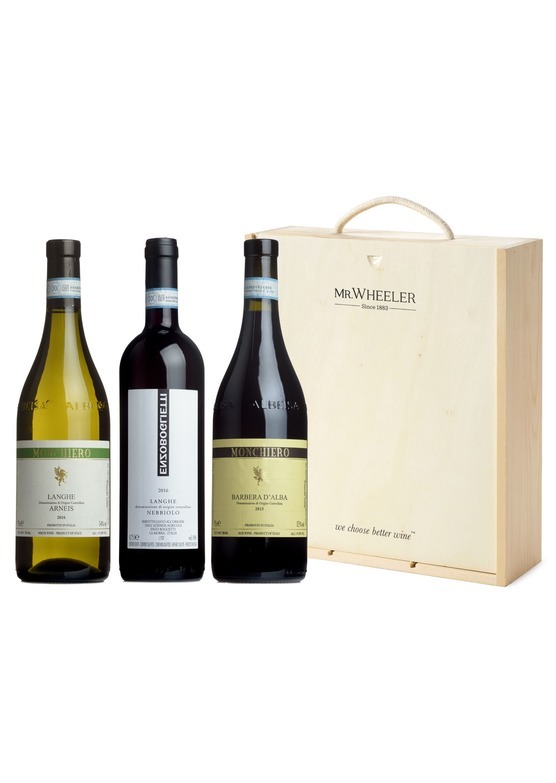 The Monchiero estate is situated in picturesque Castiglione Falleto, in the heart of the Barolo region. [more info]. Tremendous freshness on the palate meets with generous structure, underlining a wine of great composure, backbone and ambition. Enzo's baby Barolo simply could not be finer! [more info]. A delightful, characterful white from Piedmont. Delicate flavours of crisp green apples, a lovely hint of minerality and a refreshing finish. Something a little different. [more info].